Shopping by numbers - Jennie Lees looks at how online retailers use mathematics to generate personalised product recommendations for their customers. Where operational research began - Cathy Buchanan explores the early history of Operational Research, a field which came into its own during the Second World War, and applies analytical methods such as mathematical modelling and statistics to the process of decision making. 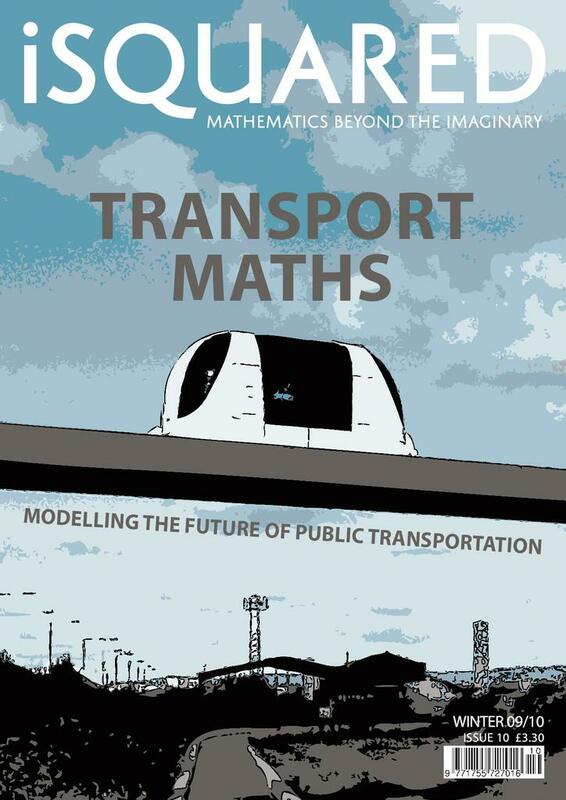 Mathematics and the future of transport - Véronique Pagé talks to transport mathematician John Hammersley. John talks about a new type of transportation system, Personal Rapid Transit, and explains how mathematical models are being used in its development. Mathematical histories - Peter Rowett describes some of the ciphers used by ancient and medieval cryptographers, and shows how to go about breaking them. In addition, each issue of the iSquared magazine contains news items, puzzles, a book review and the work of a mathematical great. This issue tells the story of the work of Henri Poincaré who contributed to an impressive range of fields during his lifetime, both pure and applied.